These ideas are based on what families say has worked for them. Send us your tips and tricks. It can be tough for kids feeling 'different' to their peers. Picture books about kids who wear glasses or contact lenses can be a great resource. Authors include Juliette Vignola, Yasmeen Ismail, Marc Brown, and others. The site For Little Eyes has a long list. 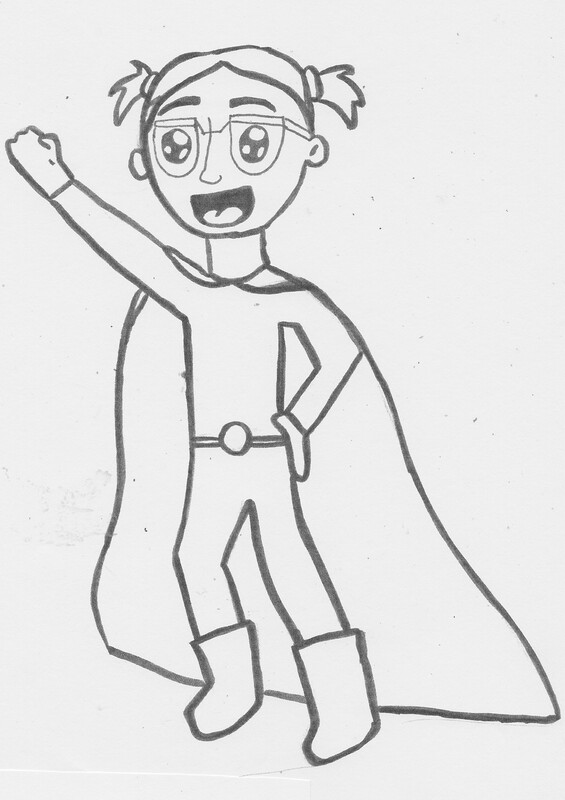 Print the Cataract Kids Australia patch-wearing superhero or glasses-wearing superhero for your child to colour in. Be prepared for a long wait (especially in the public hospital system). Depending on the child's age, bring extra bottles and nappies, snacks and toys. Children's hospitals will have a place to breastfeed or heat a bottle, and likely also have indoor and outdoor play spaces, food outlets and shops, and support services such as social workers. Be prepared to see more than one healthcare professional. Your child may be seen by an orthoptist first for a vision assessment, then have drops put in to dilate their pupils, before seeing the ophthalmologist. Bring a contact lens case, lens remover (plunger) and solution to your ophthalmology appointment. Your ophthalmologist will want to check the intraocular pressure of your child's eyes at these appointments. Ask questions! The Top Tips for Safe Healthcare website has lots of good information about how to get the most out of your child's health care. Using a plunger for removing hard ('RGP') lenses can be very helpful in babies and young children. Singing, nursery rhymes or other things that distract your baby might help while inserting or removing contacts. Counting down might help older children. For soft lenses, remove them carefully using the fingers - there are different techniques so ask for your health professional to show you. Develop a consistent routine and stick to it - for example, if you are inserting and removing lenses daily, always insert them early in the day and remove before bed. Make it just another thing that must be done, like brushing teeth. For babies, insertion and removal of lenses can be done whilst asleep or feeding. Do it at a time when they are not over-tired and rubbing their eyes. Look for YouTube videos on inserting and removing lenses in babies and young children. Try wrapping your baby in a towel or soft cloth, to keep their hands out of the way. To find lost lenses, use a torch (they may glint in the light) or vaccuum with a stocking over the nozzle. Picture books by Juliette Vignola like 'Samantha Wears a Contact Lens and Patch' and 'My Naughty Contact Lens' are a great resource. ﻿Here's a list﻿ of the patch brands and online stockists in Australia. Again, develop a consistent routine. Not every child needs to patch! For those who do, the recommended time varies greatly depending on the individual child, and is likely to change over time. Follow the advice of your health professional. To get a child to leave a patch on, try distraction with TV, light up toys, food or an outing. ​ Wear a patch yourself or pop one on your child's favourite teddy! Rewards such as a sticker chart may be useful for slightly older children. Use the worn patches as stickers to make a colourful picture; at the end of the week, reward good patching with a fun outing or treat. Decorate patches with stickers or drawings. Picture books by Juliette Vignola designed for young children - 'Samantha Wears a Contact Lens and Patch' and 'Jack Wears Glasses and a Patch' - are a great resource. 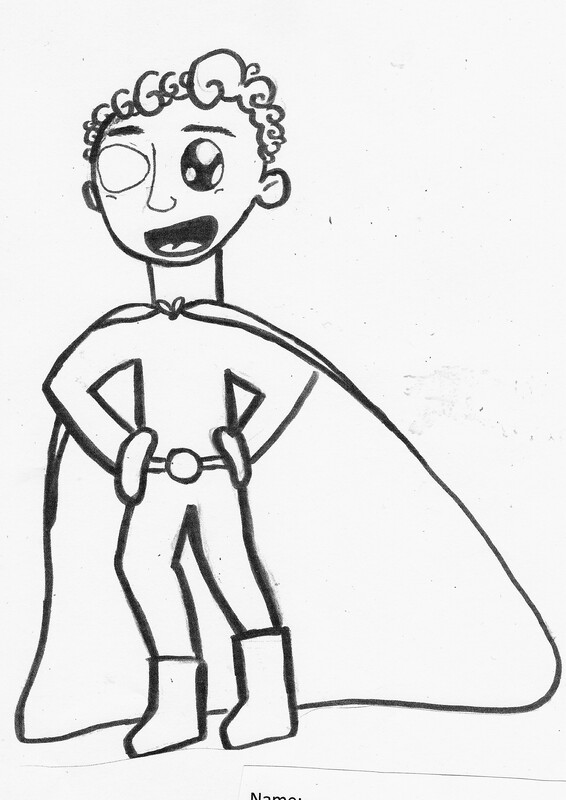 Print the Cataract Kids Australia patch-wearing superhero for your child to colour in. Arm immobilisers or splints are one solution; floaties work well as an inexpensive version. Keep your baby's nails short and consider gloves so they cannot lift up the edge of the patch to pull it off. To help with skin irritation caused by patching, try applying the patch to an item of your clothing first to remove some of the stickiness. The glue varies on the different patch brands, so if one type of patch irritates your child's skin, definitely try another brand. Try trimming some of the sticky edge off so that there is less to irritate. If removing the patch from your child's face hurts them, try wetting the patch with water or coconut oil several minutes before removing it. Paw paw cream or similar can be applied afterwards to soothe irritated skin. Apply patches to clean, dry skin. In hot or humid climates try patching early in the day.